Start Something is a group of seventh and eighth grade students who work on service projects within our school and throughout the community. Students fill out an application in the Fall and are selected through an anonymous process. Students participate in the Spicket River Clean Up in September and Earth Day Clean Up in April among other events to instill a sense of community service. 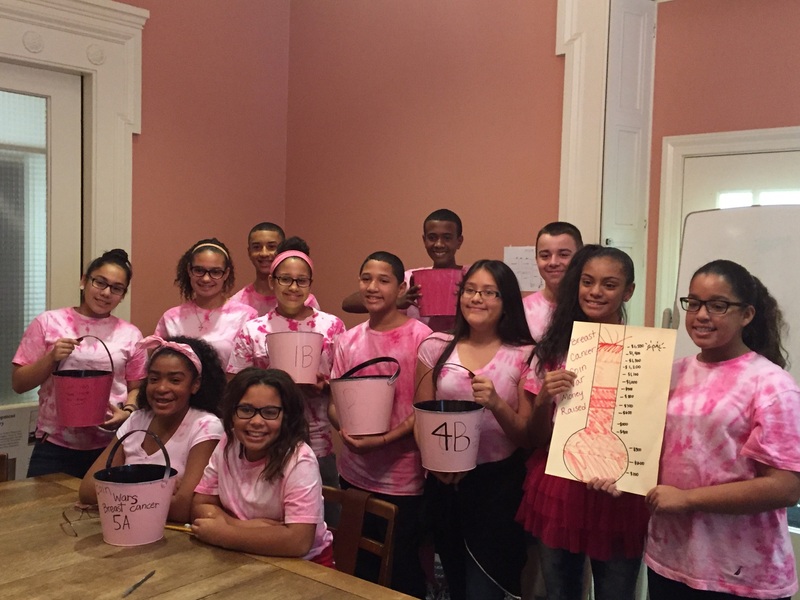 They also create Coin Wars for students in K-8 at Prospect to donate coins and raise money for the YWCA Lawrence to benefit people in the community battling breast cancer. Their "Pink Out" dress down day is the culminating event to raise additional money. Other events are in the works and this page will be updated accordingly. Staff leaders for the group are Ms. Peake and Mrs. Hartigan.